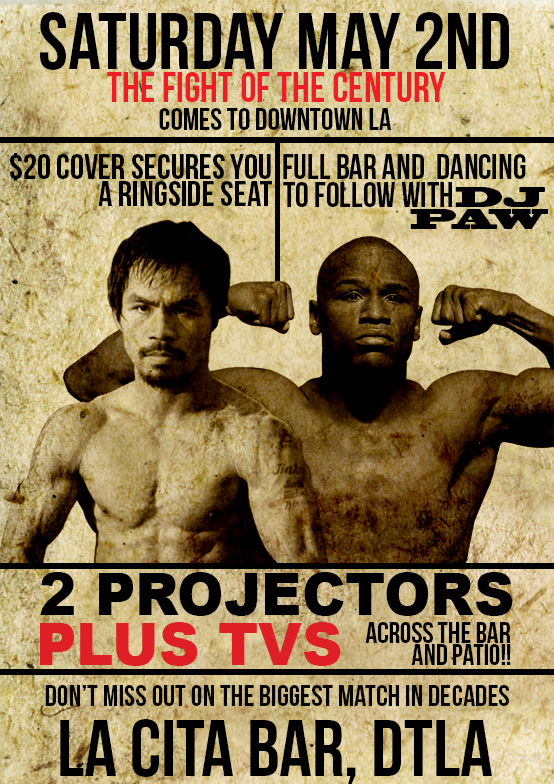 Join us for the “Fight Of The Century” at La Cita! We’ll be showing the game on our 2 projector screens and TVs across the bar! Stick around after for dancing with DJ Paw!